Jimmie Ervin Daniels, a decorated Vietnam veteran, was awarded a Purple Heart 26 years after he was wounded by shrapnel from a Viet Cong mortar round in an engagement near Tay Ninh. A local veterans group has been formed in his memory. Here is his story. This excerpt from an article by R.E. Robinson, Jr., details the ordeal. Daniels, who was carried about 400 yards to the station by two friends, Sp. 4 Glen Sampson and Sgt. Ernest A. Williams, recalls the aid station doctor standing about six feet away from him diagnosed the wound as a leech bite and accused him of wanting to avoid going back into battle which was raging a few hundred yards away. That his wound was received in combat in Vietnam was verified by an Army buddy, Sp. 4 Johnny T. Sampson, Douglasville, Ga., in a letter written to military authorities, Daniels gives credit to Cong. Robin Tallon and Sen. Strom Thurmond in persuading the Army’s Board for Correction of Military Records into hearing and approving Daniels’ request. “He (Daniels) was not treated at all and left the aid station enraged at having been mistreated and degraded. 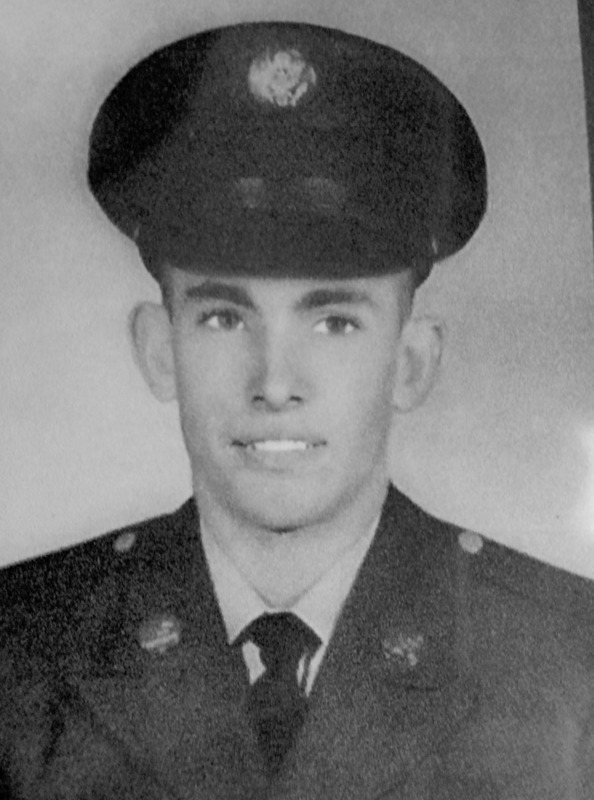 “He did not receive any medical attention until he got to Fort Hood, Tex., in 1967.” He returned to the States six months after he was wounded. An x-ray taken at Fort Hood confirmed the presence of the fragment in his knee. Daniels was fortunate enough in that although he had received no treatment for either wound, he escaped infection in either of his wounds as he continued on active duty in Vietnam for six months. After his separation from active duty, Daniels had a second piece of shrapnel removed from his ankle at a Veterans Administration hospital. The other fragment is still lodged in his knee. Daniels has also received treatment at the VA hospital for post traumatic stress disorder, a result of his wounds and the cavalier treatment he received when he was wounded. While his memories of Vietnam are not pleasant, the recognition of his exemplary conduct and the award of the Purple Heart eases the rancor he has harbored for so many years. Further recognition of his heroic service was acknowledged when the Board belatedly granted him the Army Valorous Unit Award, the Vietnam Gallantry Cross with palm unit citation, The Vietnam Civil Actions unit citation badge, and the Good Conduct Medal, in addition to the Purple Heart. He was also awarded the Bronze Star medal for gallantry in action. He said A Company were attacked by human waves. “They were so high they didn’t know when they were hit.” Frequently, Daniels said the Viet Cong behaved as though they were drugged, charging undeterred into heavy fire. When shrapnel hit his leg, he said, it felt like a “hot ball of fire” and his leg was paralyzed. He said he called to Johnny Sampson, the friend who had written the letter supporting his claim to the Board of Corrections. Sampson ordered Glen Sampson and Williams to carry him to the aid station. Daniels said his outfit generally was transported by helicopter until they reached a jungle area and then walked in to confront the enemy. He chuckles when he describes the fear of falling out of the helicopter while en route to battle. Daniels recalls when a friendly air strike mistakenly dropped napalm bombs, which wiped out a nearby unit. He was also sprayed with Agent Orange, a defoliant which some have believed to have been a carcinogenic, but was told it hadn’t affected him adversely. His Vietnam career almost came to a tragic end before it really began, Daniels said. In unfamiliar surroundings, he was standing erect looking at enemy dead on the ground when the sound of a 50-calibre round passing near his head startled him. “I was standing but they told me to get down,” he said. Daniels was inducted into the Army Jan. 5, 1966, and after training served in Vietnam from June, 1966, until June 1967, as an infantryman with A Company, 1st Battalion, 26th Infantry. He was advanced to pay grade E-4 and earned the Combat Infantryman Badge. On Jan. 4, 1968, he was separated with an honorable character of service and transferred to the Army Reserve. He had earned exclusively excellent conduct and efficiency ratings and there is no discreditable evidence of record, according to Army records. He is the son of the late Mr. Lonnie Daniels, Sr., and the late Mrs. Ella Daniels. A graduate of Dillon High School in 1963, he is married to the former Geneva Caulder. Jimmie Daniels died on Friday, August 26, 2016, at the age of 70, but his memory lives on through a group formed by his brother, Johnnie, called Help For Veterans, Inc. Shortly before his death, Jimmie asked Johnnie to do something to help the veterans in Dillon County. While Jimmie had received decorations and medals for his service what he didn’t receive was all the help and the respect that he deserved for his service and sacrifice. The initial meeting for Help For Veterans was in September 2016. The mission of Help For Veterans is to assist our veterans with housing, education, healthcare, and other unmet needs by providing information and assistance to ensure our veterans are aware of the services available to them. Help For Veterans has obtained their 501(c)3 status, and last year, the group held its first annual health fair. The next one is scheduled for October 18th. They have done various other things to help the county’s veterans. If you would like to learn more about this group, please visit www.helpforveteransdillon.com or visit their page on Facebook® at www.facebook.com.helpforveteransinc. The public is invited to their meetings. They meet the third Thursday of the month at 7:00 p.m. at the American Legion Hut at 2014 Highway 9 East, Dillon.